The Turquoise Ridge Mine in Nevada, owned as to Barrick 75%/Newmont 25%. Source: Barrick Gold Corp.
Paulson & Co. Inc., a substantial shareholder in Newmont Mining Corp. [NEM-NYSE], said it will not support the U.S. gold mining giant’s proposed US$10 billion acquisition of Goldcorp Inc. [G-TSX; GG-NYSE] in its current form. However, Paulson said it would back a revised deal where Goldcorp shareholders receive a maximum of 0.254 of a Newmont share for each Goldcorp share. Paulson currently owns 14.2 million shares of Newmont which announced terms of a friendly merger deal with Goldcorp on January 14, 2019. Newmont recently filed its definitive proxy statement and scheduled a special meeting of stockholders to vote on the pending merger with Goldcorp on April 11, 2019 in Denver, Colorado. Newmont intends to acquire each Goldcorp share for 0.3280 of a share under the current terms. The stage was set for the merger to proceed after Barrick Gold Corp. [ABX-TSX, NYSE] abandoned its hostile bid for Newmont, agreeing instead create a joint venture that will combine the two companies’ Nevada gold mining operations. However, in a March 21, 2019 letter to Newmont CEO Gary Goldberg, Paulson said that under the current terms, the acquisition is unattractive to Newmont shareholders for the following reasons. The $1.5 billion premium to Goldcorp shareholders is unjustified given Goldcorp’s poor performance. As currently structured, the synergies from the transaction would only accrue to Goldcorp shareholders. The transaction will transfer a significant percentage of the value created by Newmont’s recently announced Nevada joint venture with Barrick to Goldcorp shareholders instead of preserving this value for Newmont shareholders. Following the creation of the Nevada joint venture, Newmont is positioned to create greater value as a stand-alone entity than if the acquisition were completed under the current terms. “Eliminating the undeserved premium to Goldcorp and preserving the Nevada joint venture synergies exclusively for Newmont would result in an acceptable transaction,” Paulson said. Paulson went on to say in its letter that in the year ended December 31, 2018, Newmont generated US$473 million of free cash flow, while Goldcorp burned through US$364 million of cash. “Despite Goldcorp’s heavy outspend in 2018 to bring new projects online, 2019 guidance was extraordinarily weak, showing a 15% reduction in production from prior guidance and now growth versus 2018 actuals,” Paulson said. Goldcorp shares were down 3.75% or $0.56 to $14.38 Friday, on volume of 3.31 million. The 52-week range is $18.78 and $11.00. Newmont rose 0.20% or US$0.07 to US$34.40 and trade in a 52-week range of US$41.98 and US$29.06. 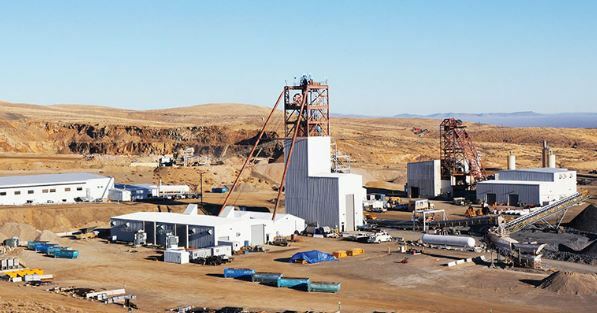 “Furthermore, under the terms of the merger agreement, the $650 million break-up fee would not be payable if the merger is voted down by Newmont shareholders,” Paulson said. Paulson & Co. Inc. is an investment management firm, based in New York.